For the second time this year, advertisers are (at least temporarily) abandoning YouTube because the video platform compromised brand safety by displaying advertiser messages on videos that appeared to sexualize children. Back in mid-March, reports revealed that ads from major brands had been appearing on YouTube videos from white nationalists and hate preachers. Huge advertisers from L’Oréal to Verizon suspended their YouTube buys in the wake of the crisis, but eventually came back. 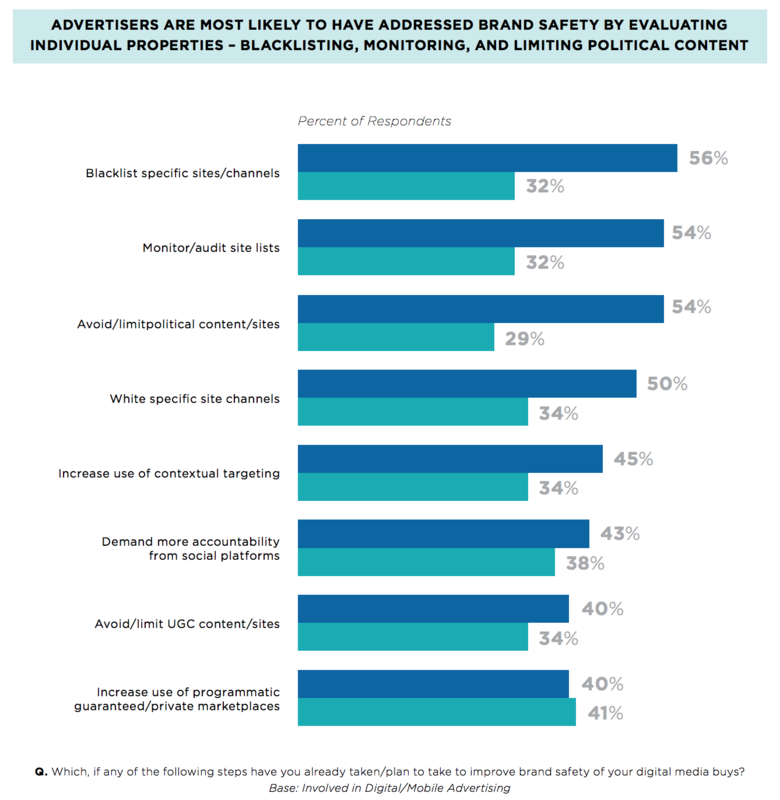 A recent report from Trusted Media Brands, Inc, a global media and direct marketing company, polled 287 marketers to see how they interpret the importance of brand safety, and across the board, these digital decision-makers are concerned and believe brand safety directly impacts return on investment. Below, we’ll look at how marketers can take back control, but first, we’ll examine why brand safety has suddenly risen to the top of the worries list. From an ad tech perspective, more automation and programmatic have led to a loss of transparency into placement info from media channels and buys. And more reporters are catching, and writing about, not so favorable examples. Earlier this year at Advertising Week Europe, Anthony Katsur, president of Sonobi, an audience platform that works directly with media companies, placed blame on the whole ad tech industry, saying there are "layers of obfuscation between the brand and the consumer … Suppliers supplying suppliers, supplying suppliers." From a societal or political perspective, fake news, in general, has damaged the public’s trust in content, and viewers are therefore hyper-aware of and suspicious about anything that seems off. An article in Marketing Tech News using internal data found of the more than 150 million domains and 5 trillion monthly page-level URL requests where MTN has insight, approximately 10-12% of URLs are recognized as unsafe because they include content that is adult, violent, or similarly inappropriate. A Gallup poll found that just 18% of Americans trust big business. And a study from McCann found that 42% of Americans believe that brands today are less trustworthy than 20 years ago. Pair those feelings and beliefs with a major misstep as to where ads are served up to consumers, and you can see why brand safety is a concern for marketers. 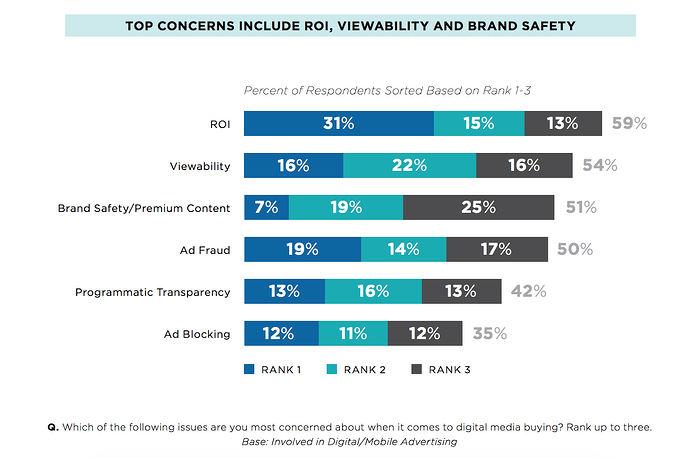 When marketers were asked to rank the most concerning issues overall in digital media buying, brand safety came in third behind ROI and viewability. Ninety percent of the marketers included in the poll said that in light of recent events, they’ve started taking steps to improve brand safety in their media buys. One marketing director included in the report said, “We have a robust list of ‘rules of engagement’ that clearly defines an unfavorable environment. It is centered around very specific content, keyword, and types of sites.” And that’s just one of the ways marketers are getting more involved in where their ads are appearing. Blacklisting or whitelisting specific sites and channels, monitoring site lists, and avoiding political content or sites is an extremely effective way to make sure your ads are shown in the best light. But don’t just trust your media partners to supply you with this list. Put your own people on the job for hands-on observation of sites and channels. Adexchanger interviewed New York Life’s corporate VP of media and metrics who explained that his team doesn’t just enforce brand safety guidelines, they also assign KPIs. From TMBI’s report, four in ten marketers also said they plan to increase their use of programmatic guaranteed/private marketplaces to have more control over where their ads are showing up, and the same number said they wanted to avoid or limit sites that featured UGC content. 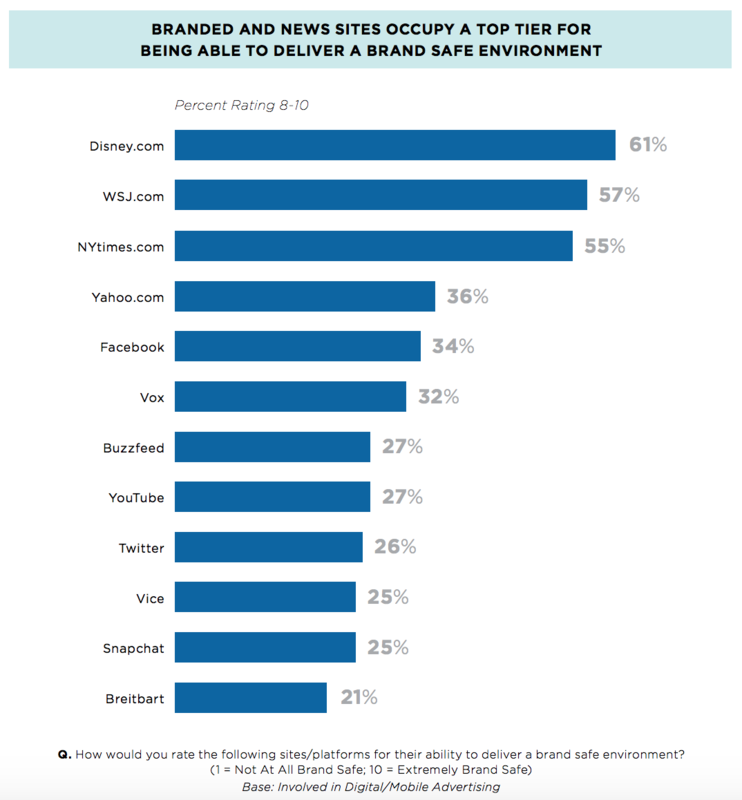 Sites that guarantee delivery of trusted content 24/7 are now a top priority for brands, and many are willing to pay more to secure these safer spaces. That includes branded sites like Disney and news sites like the WSJ.com. Despite Facebook’s challenges with Russian ads during the election, the social platform has managed to maintain trust, at least with 34% of marketers surveyed. YouTube was given the green light by 27% of marketers, though that percentage has likely dropped in light of the most recent reports. Scrutinize your creative. Mark Finney, director of media and advertising at the Incorporated Society of British Advertisers, during Advertising Week Europe, suggested content should be actively vetted for quality "before advertising is put anywhere near it." The content of your creative is one of the few pieces of the puzzle you can control fully, so take advantage of that. Focus on quality placements with trusted publishers. Though it may cost more, this effort is likely to pay off. Unilever CMO Keith Weed said his company found that ads are more effective when they run alongside premium content. Demand transparency from your partners. You should know exactly where your ads are showing up, or better yet, where they will show up, so you can step in if any part of the buy seems inappropriate for your brand. MQL vs. SQL: What's the Difference Between Marketing and Sales-Qualified Leads?